What type of treatment is the Aphogee 2-step treatment? A high quality hair treatment, that temporarily adheres small particles of animal proteins to each of your hair strands. This instantly gives your hair extra strength against manipulation and fills in the broken spaces on your hair strands. While the protein is on the hair, it is least likely to break from manipulation. This enables you to retain more length. Thus reaching your length goals faster. Who should use this type of treatment? Those with moderate to severe breakage. Those with damaged hair strands. Thin hair strands and fine hair strands. Use before applying hair extensions. This helps to protect the hair while under the fake hair. Those who heat straighten, color or relax their hair. 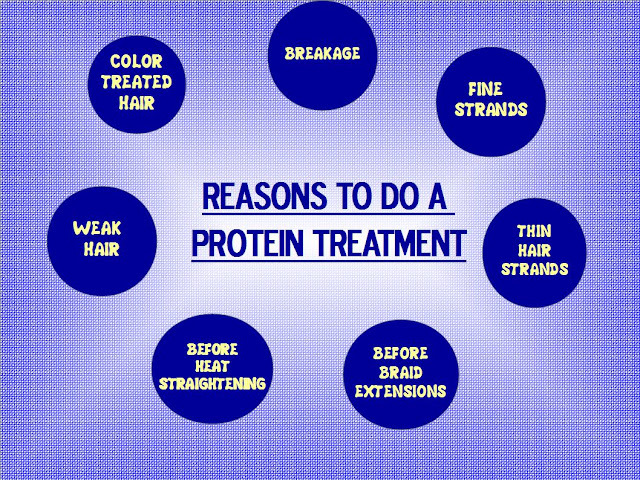 What is the difference in a protein treatment and a protein conditioner? A protein treatment such as the Aphogee 2-step, provides you with superior strength. Most protein conditioners only provide you with mild protection. Protein conditioners are for mild breakage and preventing breakage. The Aphogee 2-step can be used once every 4 to 6 weeks. This treatment is temporary and it wears off daily. Always deep condition after this treatment. The product recommends using their shampoo and balancing moisturizer. 1. Allow medium temp water to run over hair for 30 seconds. 2. Thoroughly shampoo hair with a clarifying or deep cleansing non sulfate shampoo. It is very important to cleanse the hair well, so that the protein sticks well. For easier application, pour the aphogee 2 step treatment into a bottle with a nozzle. Fill a small bowl with hot water. Use it to dip your fingers in should they become to sticky. 1. Apply the treatment in sections, making slim parts, being sure to cover each strand. 2. Smooth product from roots to tips. 3. Work quickly because the product is very sticky and dries fast. 4. Use the small towel in the warm water to wipe your hands as you work. Once the hair hardens do not manipulate. 5. After you have saturated your hair with the protein, sit under a hooded dryer until the product dries hard onto your hair. About 15 minutes. Do not cover hair with a plastic cap while under dryer. 6. 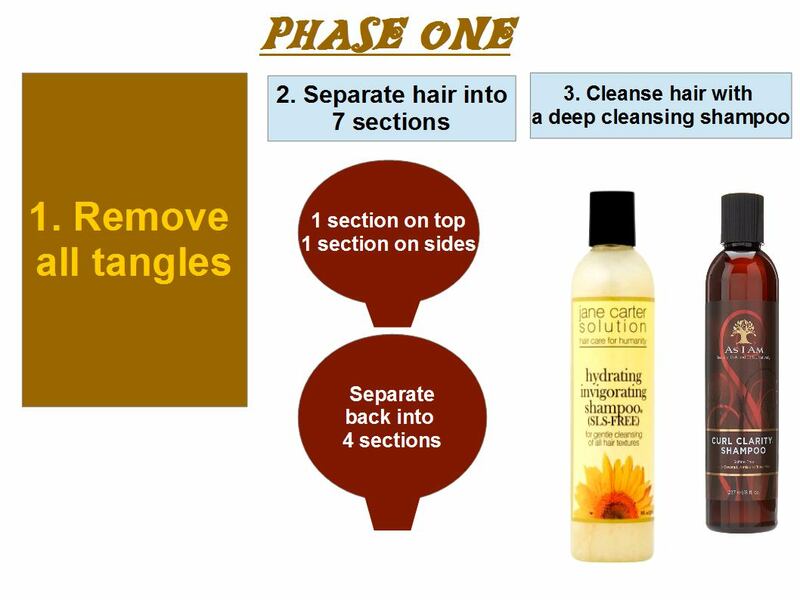 After the product has hardened on hair, rinse out with warm water. Rinse until you no longer feel anymore of the protein on the hair. 1. 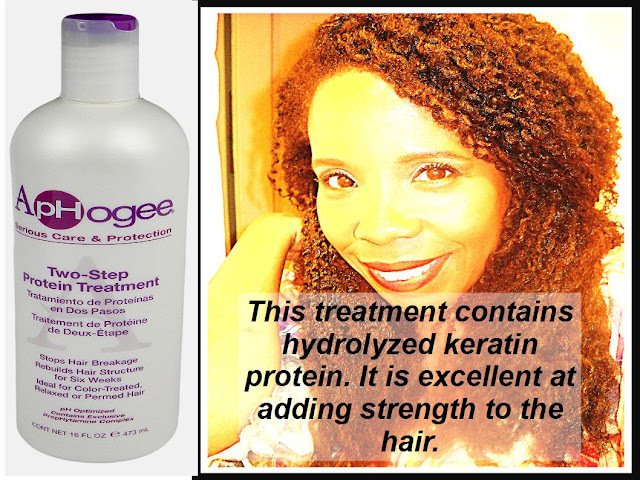 You can now apply the aphogee balancing moisturizer or you can deep condition your hair with a moisturizing deep conditioner. Apply the balancing moisturizer according to the directions on the product. Mix 1 tbsp on honey with the desired amount of your deep conditioner. Cover hair with a plastic cap and sit under a hooded dryer for 10 minutes. 3. After conditioning, spray hair down with the Aloe Vera pH balancing Spritzer. 4. Do not remove moisture from hair.